So, you’ve completed your vision board, and you’re wondering what’s the next step. No worries! I would NOT leave you hanging……… I’m about to turn you into a Goal Achiever!!!! Often times we’ll get so excited, and start something, that we fall off and never see that project through until the end. I encourage you to commit to a check-in with your vision board, and work on achieving some of your goals. Not all of them have to be completed in a year, but really take time for YOU and turn your goals, dreams, and aspirations into REALITY!!!! Take a moment to view your vision board and see which goal you want to tackle first. 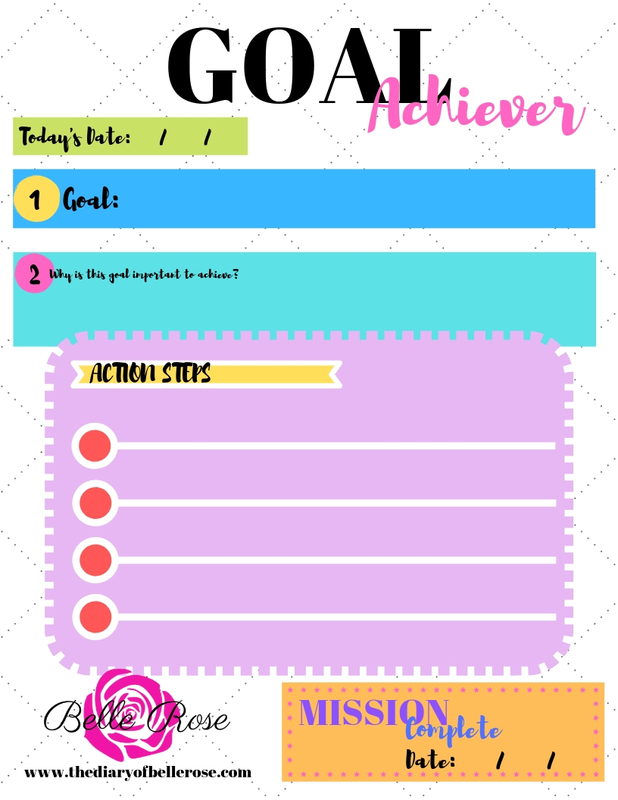 Print out this handy, very dandy form that I’ve created just for you as a guide to achieving your goal. Fill in each space with thought of why it is important to you to achieve this goal and the steps you will commit to achieve your goal. Once you have achieved the goal your mission is complete, so fill out the date completed and go CELEBRATE!!! DIY TIP: Once you’ve achieved your goal go and reward yourself. Whether it’s going to a musical, or ice cream. You deserve to celebrate your achievement.